Shop update today! - Kettle Yarn Co.
Back from an amazing time at Unravel and have some new things to share with you. 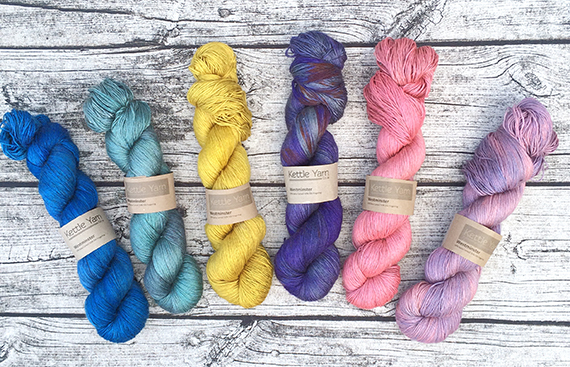 Today’s shop update has some restocked and fun new colours of Westminster – the softest baby Camel/ silk. As my new blend Baskerville is sold out at the moment and I am still waiting for the new shipment, before the last show I was feeling a little guilty about not having much Baskerville to show all of you at Unravel so thought I’d dye up some indigo in other blends just in case! …and a super special Westminster. The glowing shimmer on this one is über-special and the baby Camel fibres over dyed with indigo make it a lovely duck’s egg blue! 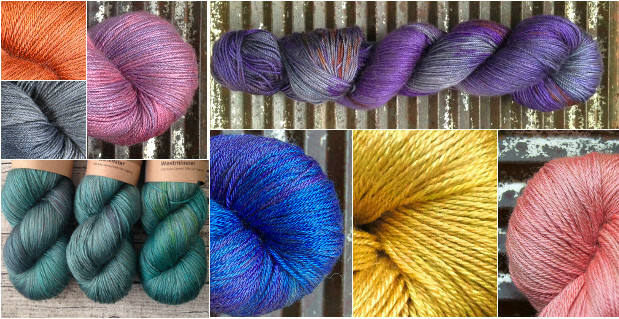 All skeins are now in shop for your knitting pleasure!